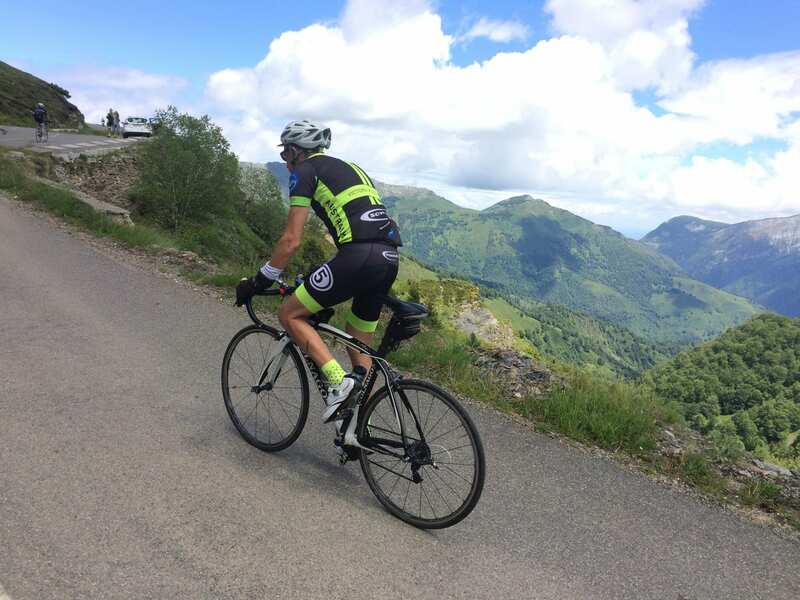 Arguably one of the most popular rides on Bike France Cycling Tours’ week of riding in the Pyrenees is the climb to the summit of Col d’ Aubisque. 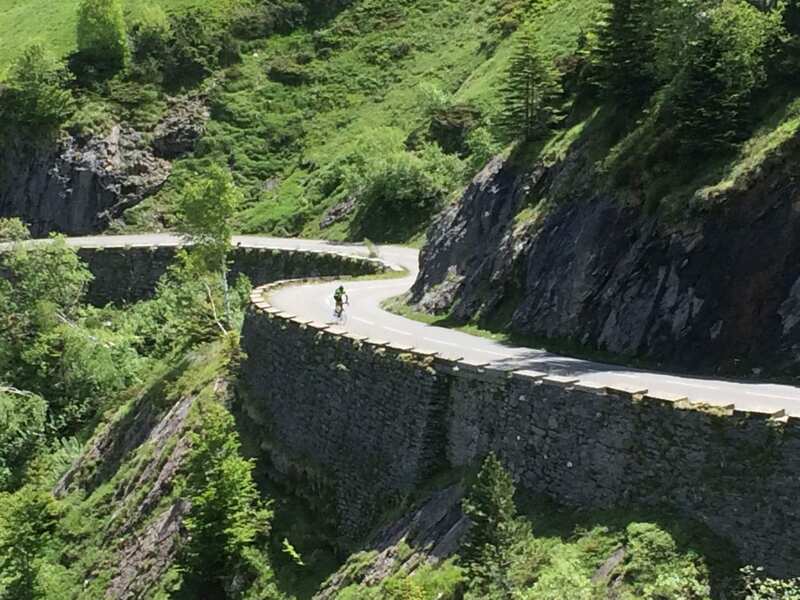 This iconic and very picturesque climb showcases just about everything that the Pyrenees is famous for. This year (2018) we will see the Aubisque featured in the Tour after the pros climb the Col d’Aspin, Tourmalet, Col des Borderes and Soulor beforehand on Stage 19. Our tour in September will also cover all of these climbs – albeit over a week! I’ve done this climb six times now and it never fails to please. After a coffee stop 20 km into our ride at Argelès Gazost where there are a few cafes that actually serve decent coffee, we leave the carpark with 30 km of climbing ahead of us to reach the top of Aubisque (thankfully it’s not all uphill!). After the initial pinch out of Argelès, we roll through the valley with the view of the glorious Pyrenees mountains right in front of us. The small village of Arrens marks the start of the first real climb up to Col de Soulor. This 8 km climb is short and sharp but has fantastic views back down to the valley over your shoulder as you climb the quiet tree lined road. The road opens as you get closer to the top of the Soulor with the only sounds being your breathing or the occasional cow bell in the crisp mountain air. Time for some pics at the first peak, perhaps fuel up with a Coke and a ‘Le Super’ Baguette before we briefly descend (yes descend!) for 2 km. After that, it’s another 8 km of magical riding though some short tunnels that open up to 360 degree views across the Ouzom Valley. The dude at the cafe at the Col d’Aubisque is a real character and always recommends the soup, spanish omelette matched with the house red wine. Then the sweet descent back to our Château 50 km away. 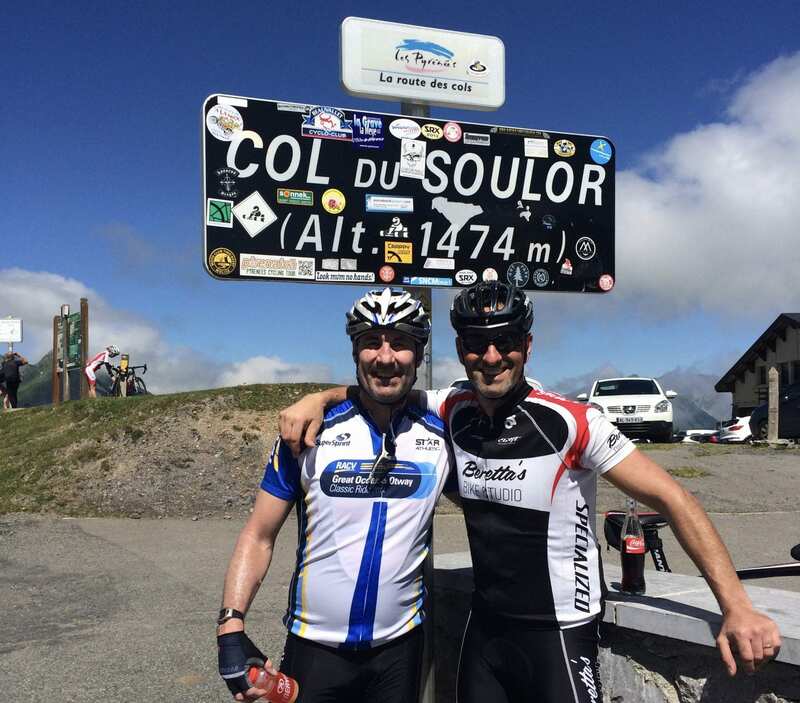 Stay in the heart of the Pyrenees with all the classic climbs just a short ride from our doorstep. 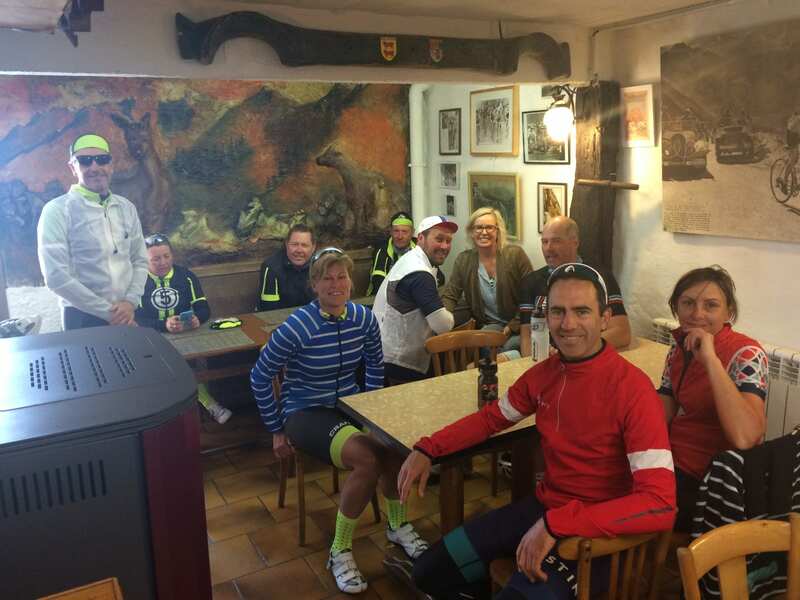 Our cycling tours include delicious food and wine, exclusive Château accommodation and an epic cycling experience!